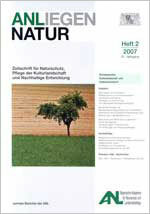 The journal accepts on contributions about nature and landscape conservation. 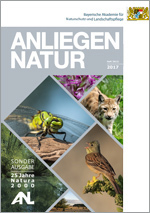 If you are interested in writing an article for ANLiegen Natur, please contact the editorial board (see below). In addition, if you know of any relevant topics, please let us know! 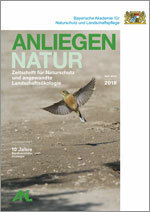 Full text access to year 40/2 of ANLiegen Natur (free PDF). 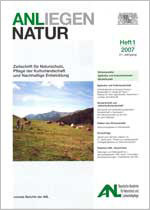 For a printed issue, visit the website of the Bavarian State Ministry of Environment and Health (10 Euro). 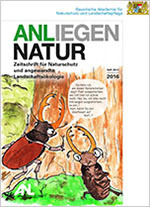 Full text access to year 40/1 of ANLiegen Natur (free PDF). 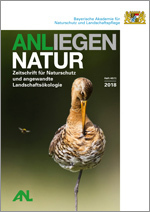 Full text access to year 39/2 of ANLiegen Natur (free PDF). 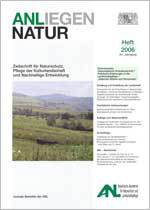 For a printed issue, visit the website of the Bavarian State Ministry of Environment and Health (free). 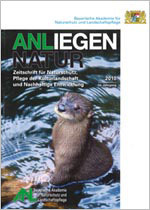 Full text access to year 39/1 of ANLiegen Natur (free PDF). 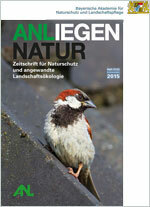 For a printed issue, visit the website of the Bavarian State Ministry of Environment and Health (10 EUR). 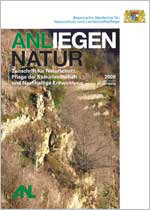 Full text access to year 38/1 of ANLiegen Natur (free PDF). 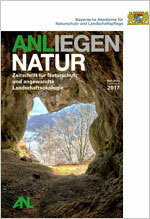 Full text access to year 37/2 of ANLiegen Natur (free PDF). 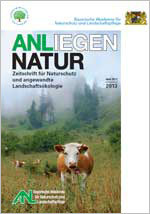 Full text access to year 37/1 of ANLiegen Natur (free PDF). 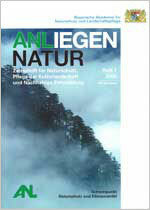 Full text access to year 36/2 of ANLiegen Natur (free PDF). 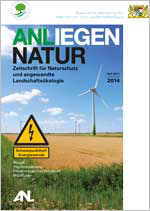 Full text access to year 36/1 of ANLiegen Natur (free PDF). 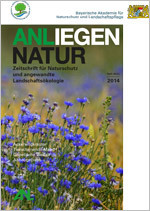 Full text access to year 35/2 of ANLiegen Natur (free PDF). 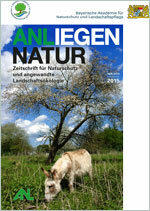 Full text access to year 35/1 of ANLiegen Natur (free PDF). 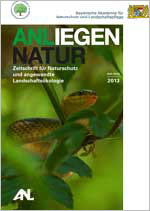 Full text access to year 34 of ANLiegen Natur (free PDF). For a printed issue, visit the website of the Bavarian State Ministry of Environment and Health (free) .